Dr. 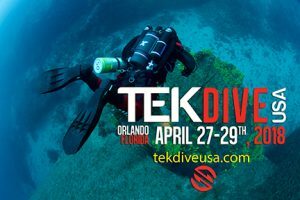 Dawn Kernagis is a biomedical researcher and has been a diver (including cave, technical and free diving) since 1993. Dawn is a Research Scientist at the Institute for Human and Machine Cognition (IHMC), where she is developing new ways to optimize performance and resilience for humans operating in extreme environments, such as undersea divers, high altitude aviators and astronauts. Dawn completed her PhD at Duke University, where her research was focused on the genetics of decompression stress in divers. She has been the recipient of multiple research awards from the Office of Naval Research, the American Heart Assocation and the PADI Foundation for her research on decompression stress, CNS oxygen toxicity, novel treatment approaches for acute brain injury and diver health outcomes in scuba divers. Dawn has also worked with numerous diving biomedical projects at Duke, DAN, and the Karolinska Institute in Sweden on immersion and diving physiology. From 1996 - 2007, Dawn was a diver and manager with the deep underwater cave exploration team, the Woodville Karst Plain Project. 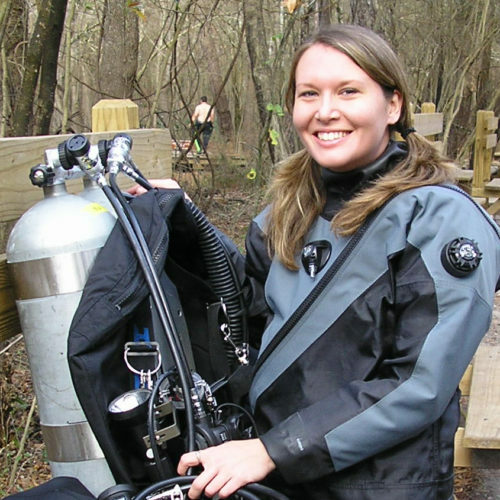 She managed multiple world record-breaking deep cave dives, including the historic connection and swim-through cave dives between Turner Sink and Wakulla Springs in 2007. 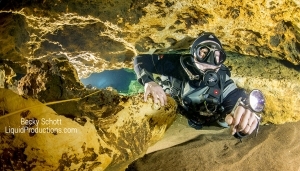 She has also been a diver and consultant for Project Merida (cave exploration in Mexico), Ocean Discovery (exploration of Baltic shipwrecks), Project Alviela (cave exploration in Portugal), and the Nesbitt Springs Project (cave exploration in the Ozark Mountains). Dawn is a mentor and Board of Directors member for Water Women Inc., founder and director of Project Pink Tank, and a volunteer with the Rubicon Foundation. She was also the first Operations Manager for Global Underwater Exporers. Based on her career in underwater exploration and research, Dawn was featured as a ‘Mentor’ in the book 'Women Underwater' and has been selected as a member of the Women Divers Hall of Fame, Class of 2016.